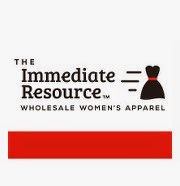 Price-Breakers, the Atlanta showroom of The Immediate Resource, has moved to Dallas, Texas. The Immediate Resource began in Dallas in 1982, where it thrives today. The sales reps who were serving customers out of the Atlanta showroom are now living and working in Dallas. Same great company. Same great service.